Welcome to this week’s Wallpaper Wednesday post, and it’s a special one. I’m thrilled to announce that I’m going to be working with Graham and Brown for the remainder of this year as an ambassador for their range. It’s a perfect alliance for me, and I can’t wait to show you some of their trend predictions, fabulous products and overall inspiration for doing up your home. I’m hoping to be putting some of their products to the test in my loft conversion and home remodelling (sounds far grander than it really is) later in the summer too, so do watch out for that. So to kick us off, this week I want to introduce you to Northern Rose. Chosen from the Graham and Brown archives, this is the inaugural Wallpaper of the Year for 2015. 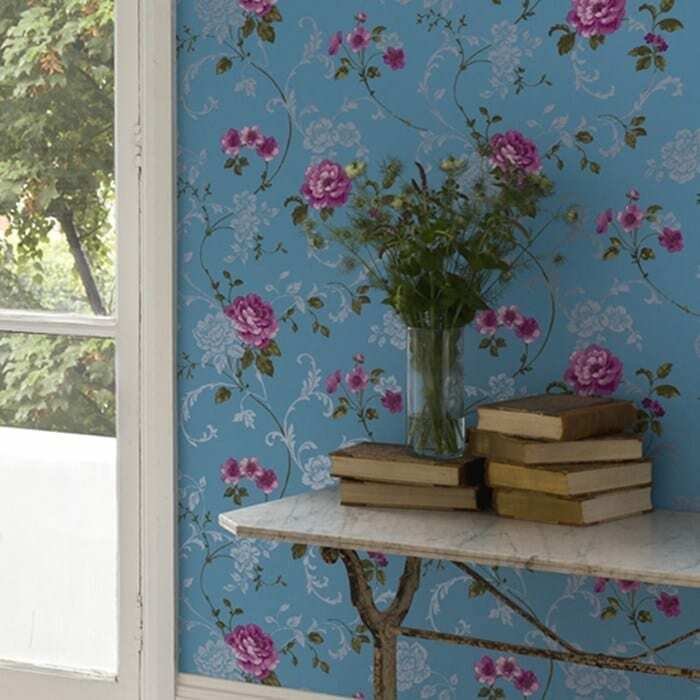 Picked for its quintessential British charm, it features vibrant pink on fresh blue in a vibrant painted design. It’s charming, delightful and delicate. Admittedly, it’s not what you’d normally see on Wallpaper Wednesday from me, but I have to say I’m particularly drawn to the intensity of the colour in this print. Whilst a floral design isn’t always for me, there’s something fresh and contemporary about this colour palette that pulls me in. No need to worry about where you might use it, it’s completely versatile. Keep it looking sleek and modern by teaming with gloss white furniture in a living room, or pick out the blush tones of the flowers and mix with soft leathers and rich wood for a dining area. 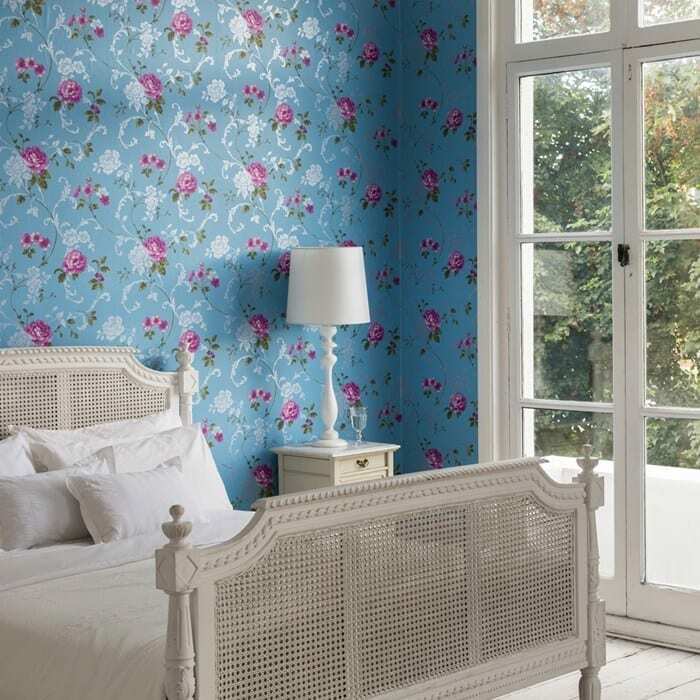 Of course it’s the perfect partner for a romantic bedroom, particularly if you’re loving the pastel trend this summer. Add in some yellows and pale greens on a base of grey and you’ve created a beautiful summer bedroom. All we need now is the sun. 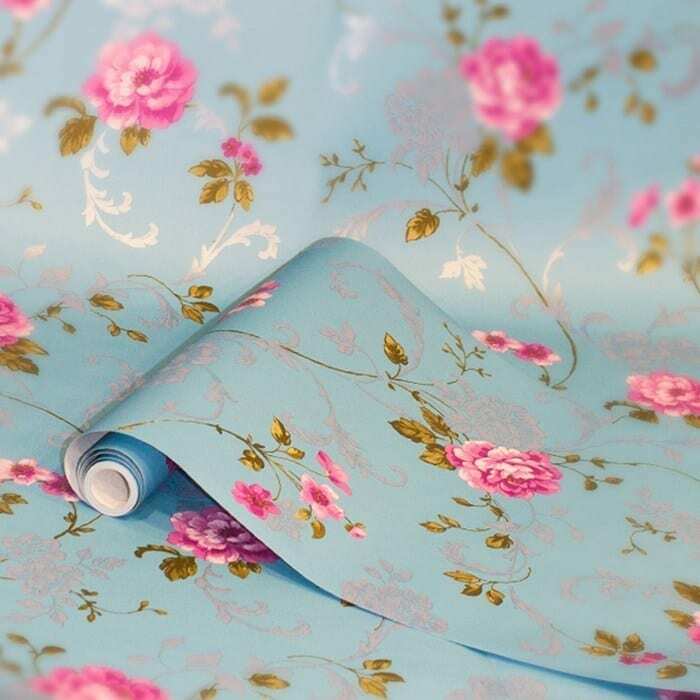 What do you think of Northern Rose? Could you use it in your home? Available from Graham and Brown for just £20 per roll.